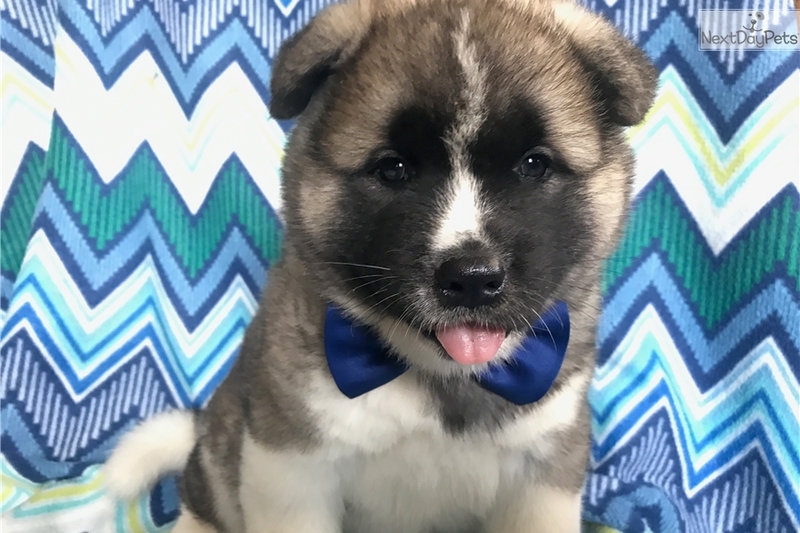 This Akita nicknamed Charlie sold and went to a new family. Hi my name is Charlie. I'm super friendly and I love the nice weather but let's be honest my favorite is cold. I was born on July 25thth. I'm outgoing and kind you're going to love me. I'm vet checked, dewormed, and I'm even up to date with my current vaccinations. I can't forget I'm also AKC Registered. But that's not all I have champion bloodline. Just ask if you need to know more. I can't wait for you to take me home.